They walk on air, for now. This government can say and do whatever it damn well pleases, with Labour awol until it has a leader. And George Osborne has just pulled off an outrageous betrayal of the cohorts of over-65s who gave the Tories their victory, yet nothing has happened. Barely 10 weeks since a manifesto pledge to cap the care costs of elderly homeowners, Osborne has abandoned it. This perfidious U-turn is every bit as shocking as was the Liberal Democrats reneging on tuition fees. That’s just one example of the Conservatives’ current air-walking untouchability. But their majority is only 12, they make bad errors, and no one can fool everyone all the time with factoids and fictions. 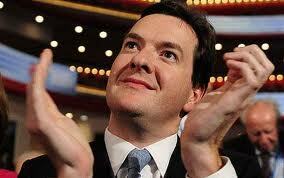 George Osborne’s assault on welfare must not go unchallenged | Polly Toynbee | Comment is free | The Guardian. 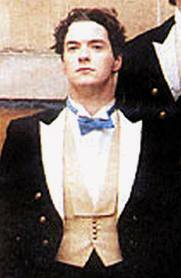 Shabana Mahmood writes that with the failure of George Osborne’s economic plan, which has led to government borrowing of £245 billion more than planned, ministers are now desperate to claw back and are therefore now coming after graduates… Tory policies have failed – so now they are coming after graduates. Just a few days after George Osborne’s budget for an ‘aspiration nation’, with its focus on home ownership, today’s homelessness statistics reveal the reality for people at the sharp end of Britain’s housing crisis. Homelessness acceptances are up 10% since 2011 to 53,450 households, 64% of them accepted because they’re families with dependent children. The number of households placed in B&B accommodation is up 26% to 4,000, including 1,690 families with children. 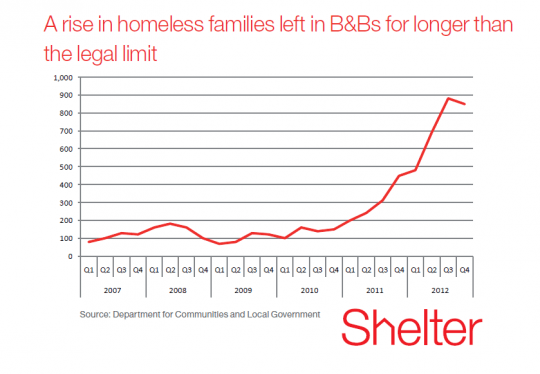 The number of families stuck in B&Bs beyond the legal six-week limit has continued to rise year on year. Every one of these families has experienced one of the most terrifying things any parent can face: being unable to provide your children with a home. The yearly ‘prevention and relief’ statistics, also published today, show that a further 199,000 households were assisted by councils to stay in their homes, or move to another, outside of the homelessness legislation. It’s clear that local councils all over the country are struggling to cope with the number of people at risk of homelessness coming through their doors. So the number of people asking for help has gone up and large numbers are being assisted. But the Government, and local councils, must get to grips with the underlying causes of this growing tragedy. 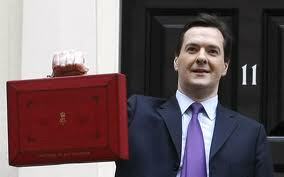 … Full Article here Homelessness rises as benefits are cut – coincidence? | Shelter blog.